The Series 300 is North America's favourite Nordic walking Pole. Built for fitness and engineered for performance, safety and comfort, these premium-quality Urban Poles enable you to burn up to 46% more calories than walking without poles. 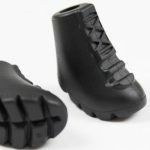 The ergonomic CoreGrip (patented) engages your core muscles as you walk to help you easily strengthen your core. 2-section collapsible poles, adjustable to user's heights of 4'2" to 6'2"
Ergonomic strapless CoreGrip to reduce the risk of injury. 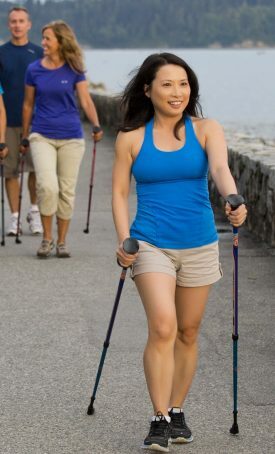 Join the Urban Poling Movement and Walk your way to better health! Feb 2018 – Very happy with the poles other than I lost rubber foot tip think it got pull off when using on snow and ice winter walk in bush trail. now were can I find replacement . in the Brampton area? Urban Poling – there are a number of retailers in the GTA which can be found by selecting ‘Find a Retailer’ and entering your city. I love my sticks! I took a very bad fall when out walking about 4 months ago and hurt my ankle badly. That’s when I bought my sticks. Once I had recovered from the injury, the sticks allowed me to get walking again. They helped my balance and gave me more confidence. I wouldn’t go walking without them now! I have been a Bruce Trail Hike Leader and hiker for 22 years. I did the whole Bruce Trail (895 km) 17 years ago . Not all at once. I decided to do it again. Being almost 67 I thought it would be a greater challenge since I have quite a lot of health issues, Diabetes, High Blood Pressure, Arthritis, Spinal Fusion to the Lower Back with permanent nerve damage down my right side from the hip down. I have been hiking with the 300 Series Urban Poles for almost ten years. So I have completed 7 of the 9 sections with the last being the Beaver Valley Section.That was the last 2 weekends of 33km on Saturday 33km on Sunday and then 30 this past Saturday and then only 21km on Sunday. I would not have been able to hike all those distances without my Urban Poles. While on the hike the first weekend I met to ladies that were using one pole each of the Urban Poling 300 series and the one said she borrowed the set from her Naturopathic Doctor. 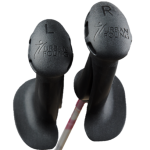 the shorter version of the story is I sold the one lady a set of the new 300 series poles so they could both use 2 poles to make hiking so much easier. I would not be able to hike and lead hikes without my Urban Poles. My poles bring the gym outside, where the brain boosting effects of greenery, sunshine and birds chirping bring exercise up to a whole new level. I never leave home without them, and always keep a spare set in the car. I have been using these poles for a decade and a half, and plan to keep using them for decades to come (I am in my fifties), as it is the easiest, most convenient and fun way to keep fit and feeling young! I’ve been meaning to be in touch for some time now to let you know how very impressed I am with your Series 300 poles and, in particular, the boots tips. Back in 2010, I bought the poles and spent the summer learning and practicing the correct technique in preparation for my September hike on the el Camino de Santiago, in Spain. During that hike, I walked over 750 km in 32 days and the poles and boot tips were used essentially the entire time. What was interesting was that people around me were wearing out tips in mere days, while mine held up for the entire time amazingly well, and continue to. I’ve owned Urban Poling poles for 5 years and I absolutely love walking with them! All the things that you listed as benefits are true! I”m grateful that you also sell the replacement “”feet”” for the poles. It was time to replace the ones on my pair. Thanks again for your excellent customer service and prompt delivery of the poles. We”re looking forward to walking together side by side for many years to come. 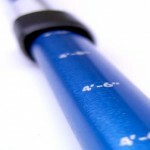 All Urban Poles come with a 60-day satisfaction guarantee. If you’re not happy for any reason (or for no reason at all) simply request a refund authorization, return your poles to us and we’ll issue a refund on your purchase less a nominal admin fee. Return shipping costs are the responsibility of the customer. We stand behind the products and service we provide. Urban Poling Inc. (“us”, “we”, or “our”) warrant that if our outdoor fitness equipment including; Series 300 and 4Life Poles and ACTIVATOR (the “Goods”) fail due to defects in workmanship or materials, within two years from the date of purchase (the “Warranty Period”), we will, in our sole discretion, either: (i) repair or replace such Goods (or the defective part), or (ii) credit or refund the price of such Goods. THE FOREGOING IS YOUR SOLE AND EXCLUSIVE REMEDY AND OUR ENTIRE LIABILITY FOR ANY BREACH OF THIS LIMITED WARRANTY. 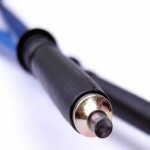 This limited warranty does not extend to Goods that have been damaged or rendered defective: (a) as a result of vandalism, misuse, or abuse; (b) by the use of parts not manufactured or sold by us; (c) by modification of the Goods by anyone other than us; or (d) as a result of service by anyone other than us or one of our authorized warranty service provider. EXCEPT FOR THE WARRANTY SET FORTH ABOVE, WE MAKE NO WARRANTY WHATSOEVER WITH RESPECT TO ANY PRODUCT WE SELL AND ANY COMPONENTS OR MOVING PARTS THEREIN, INCLUDING ANY (a) WARRANTY OF MERCHANT-ABILITY; (b) WARRANTY OF FITNESS FOR A PARTICULAR PURPOSE; OR (C) WARRANTY AGAINST INFRINGEMENT OF INTELLECTUAL PROPERTY RIGHTS OF A THIRD PARTY; WHETHER EXPRESS OR IMPLIED BY LAW, COURSE OF DEALING, COURSE OF PERFORMANCE, USAGE OF TRADE OR OTHERWISE. 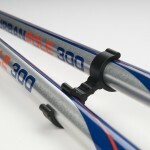 For moderately steep slopes, simply decrease the pressure on the base of the handles or drag your poles behind you. For steep slopes, keep your poles upright and in front and out to the side slightly, so if you do fall you won’t land on your poles. Bend your knees and elbows, and slow down any momentum. For long descents, it may be helpful to lengthen the poles.